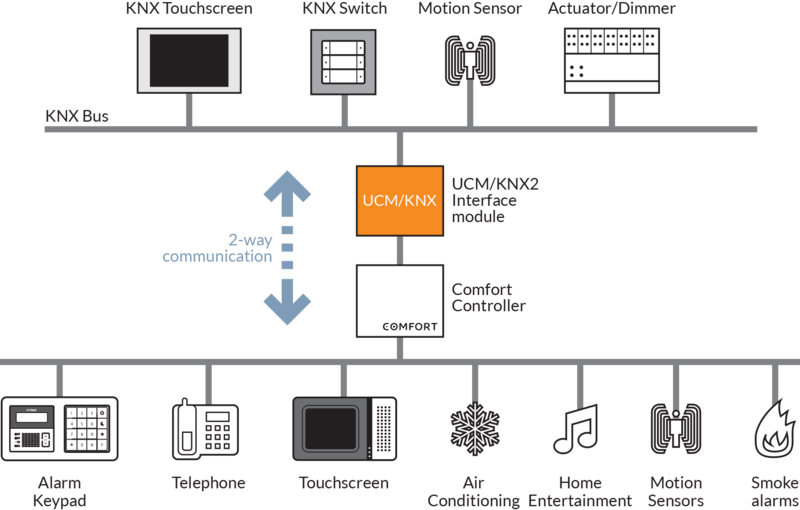 Gateway to other automation systems such as C-Bus, Zwave, Modbus. 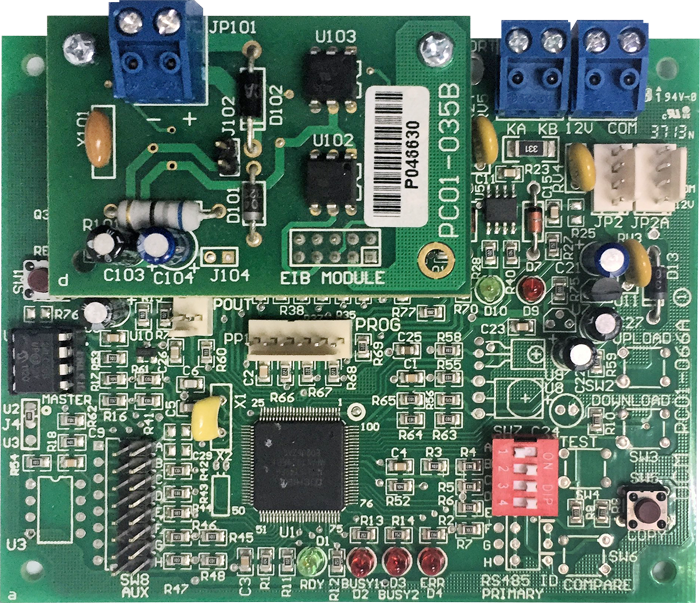 Comfort is a practical and affordable integrated intruder alarm and automation system with 8 inputs and 8 outputs (both expandable to 96) with dialout to 8 phone numbers, time programs, iOS/Android control, and is capable of customisation by programmable logic conditions. 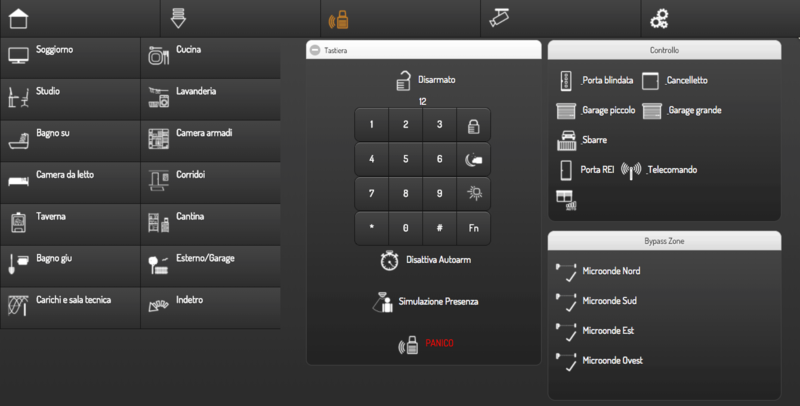 Open/Close state of doors, windows and motion sensors. Use KNX motion sensors as alarm sensors, as well as the reverse: ie assign KNX group addresses to alarm sensors.